Bring your talents to J+J Flooring Group and help us create the future of flooring. The Working for Life program reinforces our focus on healthy culture, competitive benefits, and best in class results by promoting greater well-being for our employees and their families. Physical Wellness: entails an understanding of the relationship between sound nutrition and the functioning of the body. Emotional Wellness: Helps a person achieve positive self-esteem, satisfy relationships, and provides resilience to meet life's challenges. Career Wellness: is achieving a balance between work and leisure time, addressing work place stress and building relationships with co-workers. Financial Wellness: is a state of psychological well-being in which one feels they have control over their current finances and financial future. co-workers. “EEO is the Law” Applicants to and employees of this company are protected under Federal law from discrimination on several bases. Follow the “EEO is the law” link to find out more. If you are an individual with a disability and require a reasonable accommodation to complete any part of the application process, or are limited in the ability or unable to access or use this online application process and need an alternative method for applying, you may contact Human Resources at 706.529.2100 for assistance. 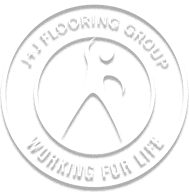 You may also apply in person at 818 J+J Drive, Dalton, GA.
J+J Flooring Group is an EOE M/F/Disabled/Veteran Employer and a Drugs Don’t Work Member.